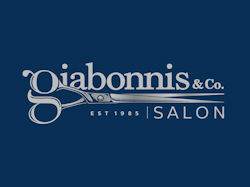 Giabonni's is pleased to offer Brazilian Blowout. It is a Professional Smoothing Treatment which is the most innovative and effective in salon industry! The end result is smooth, healthy, frizz-free hair with radiant shine!! The entire in-salon treatment is completed in just 90 minutes. Another advantage to the Brazilian Blowout is there is no down time. The minute you leave the salon, you can wash and air dry your hair, workout, put your hair in a ponytail or clip and it will be smooth, frizz-free and radiant. The results last up to 12 weeks. AÃ§ai aftercare products ensure longest lasting results.